If you’re not a lawyer, the term statute of limitations may seem mind-boggling. What does it mean, and how does it affect your ability to seek legal redress after experiencing a serious personal injury? The statute of limitations is a legal term referring to the timeframe in which a party may take legal action against another with regard to injury or damage. Generally speaking, the aim of this type of legislation is to ensure the timely prosecution of cases while evidence is still available and reliable. Often, evidence deteriorates, memories fade, and the precision of details becomes more difficult to ascertain over a long period of time. The statute of limitations seeks to preserve the integrity of evidence in order to provide justice and evenhandedness to all parties. What are the Time Limits in Florida? Sometimes the time limits are even shorter than what is normally allowed by law. For instance, some businesses create their own timeframes in which to report and litigate a claim in their employment contracts. Service-based industries and insurance contracts also have these types of provisions in their agreements quite often. Florida courts generally uphold these time limits. What if you didn’t even know you’d been injured until long after the statute of limitations has expired? Side effects to medicines might not appear for many years, for example. The law allows a suit to be filed within a limited time period after the discovery of an injury in certain cases. Every legal case has its own nuances and may be interpreted and pursued in a number of ways. Although your particular case may appear to fall into one category, an experienced attorney may see grounds for another claim that falls under different limitations. The exceptions to casework are many and varied. An attorney with skill in personal injury can help you decide whether or not you have a valid claim that is legally actionable. 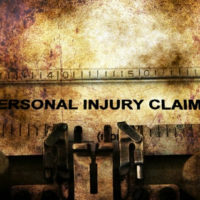 Our team at the Law Offices of Robert W. Elton pursues personal injury claims every day. We understand the complexities of Florida law, and strive for justice on behalf of our clients. If you have experienced a serious personal injury due to the negligence or malice of another, don’t hesitate: contact us today to get the competent, ethical legal services you deserve. Time is of the essence. Let our knowledgeable team help you in Daytona & Ormond Beach today.